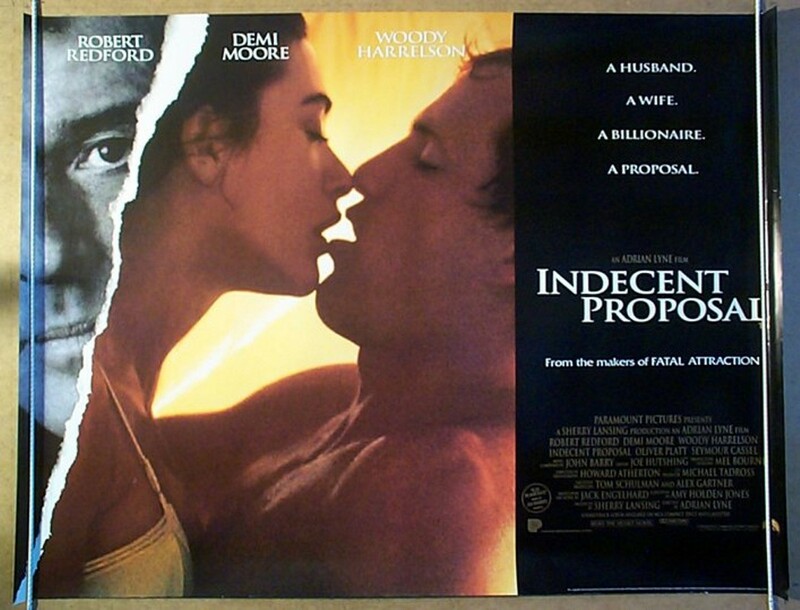 This entry was posted in Film, Film Review and tagged Adrian Lyne, Billy Bob Thornton, Billy Connolly, Demi Moore, Embracing The Melodrama, Film, Herbie Hancock, Indecent Proposal, Lisa Marie Bowman, movie, Oliver Platt, review, Rip Taylor, Robert Redford, Seymour Cassel, Sheena Easton, Woody Harrelson. Bookmark the permalink. Yes, the conception of all those Washington impressions is far better than this film. I liked this premise better when The Simpsons did it a couple years after.